Days out can be so much fun. Feeding the soul with quality family time and the brain with information has to be one of our favourite things to do on a free weekend or relaxed school holiday. 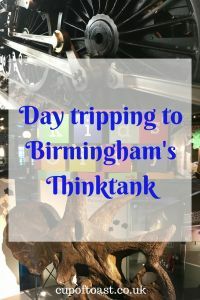 One of our all time favourite places to go for this perfect balance is Birmingham’s science museum, the Thinktank. 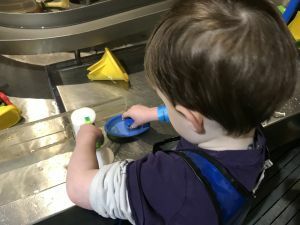 We have been to the Thinktank a number of times since Chief was just 5 months old and we’ve come to know it really well. 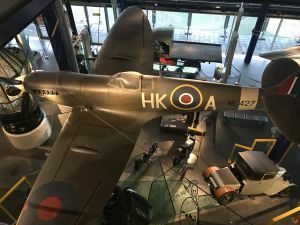 Despite that we always leave having learnt something new or been interested by a different exhibit – it really does have something for everyone. Just beyond the ticket desk (on the 2nd Floor of the Millennium Point building) is The Street Gallery for example. 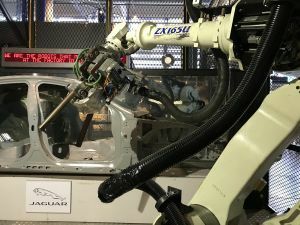 This is home to an interactive recycling display which shows the process for breaking down materials used for everyday products and groceries and making them into new things. I love that now the boys are increasingly aware and interested in protecting our environment they gain more and more from this area. 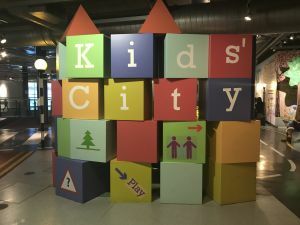 Beyond this gallery is Kids’ City. 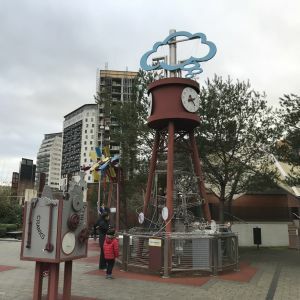 Designed with children in mind, it boasts a doctors’ surgery, a café, an animation studio, a water garden and a mechanics workshop to name but a few. No matter where on the “when I grow up I want to be a…” scale we are, we find something that matches each of their current dreams. 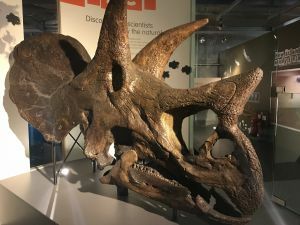 Also on this floor is a Wildlife area (a big hit with our natural history mad Munch), along with dinosaur bones including a Triceratops skull and a prehistoric marine crocodile, and information on habitats around the world. All three of our boys are huge David Attenborough fans and have loved watching the Blue Planet II series, so the Marine Worlds exhibition is a particularly big hit. The ‘Things About Me’ section is another firm favourite. 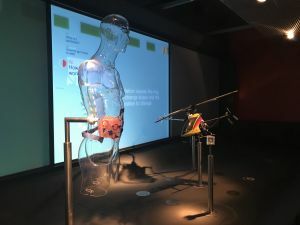 Through a variety of displays you can learn more about how the human body functions, including how your heart pumps, your digestive system, your senses and even basic human reproduction. Activities include a bop the crocodile style reflexes game and an exercise area (which is fun for all!). Just beyond this area is a dissected human brain which has been donated and is a fascinating organ. Aimed at an older audience this Medicine Matters area also has video footage of operations which is interesting although perhaps not for the squeamish (like me!). 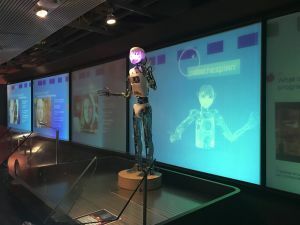 If you venture upstairs be sure to check out the Planetarium, which has shows throughout the day for a small additional fee, and don’t miss the futuristic exhibits. RoboThespian is very entertaining, there is an interactive programmable drum kit, and you can see how far modern medicine has progressed. On the ground floor level is a Discover the Past exhibit. 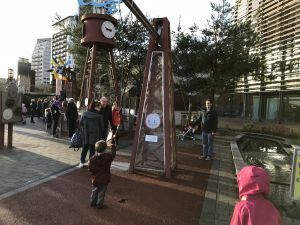 Among the multiple exhibits in this section are a large steam locomotive, a Smethwick Engine (once used to pump water through Birmingham’s canal system) and a Spitfire which is suspended overhead. 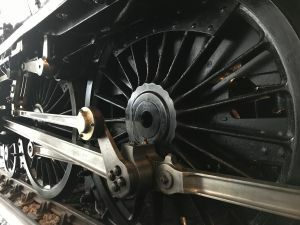 Our boys are becoming increasingly interested in this area of the museum and I think it’s a lovely way to share a fascination with engineering and the history of the area, and to an extent the country. All this indoor activity gives a huge amount of choice during the cold or wet weather but if you are feeling up to it, or during the warmer months, there is also the external Science Garden to explore. 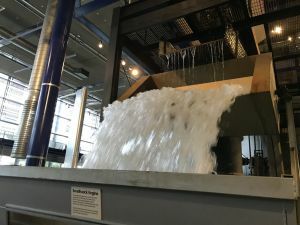 A giant hamster wheel, water pressure experiments, a miniature canal lock system and a pulley seat are some of the attractions that await you there. With over 200 hands-on displays, the Thinktank is a permanent feature on our annual days out list. We can easily lose a day there, learning about science and the world around us, and would highly recommend it. 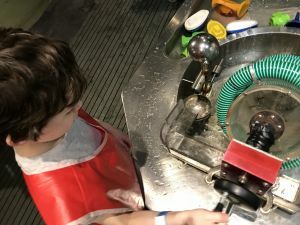 Which is your favourite science museum to visit as a family? If you enjoyed this post, you might like to check out this one! N.B. I was not compensated in any way for this post. For more information on my disclosure policy, please click here. This looks such a fab day out. 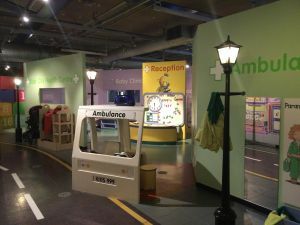 We have the science and industry museum here in Manchester that small girl still loves visiting and I think your place would be a similar draw!! I confess that’s one that we haven’t been to, yet! I’ve heard amazing things about it though. Subscribe to Cup of Toast!